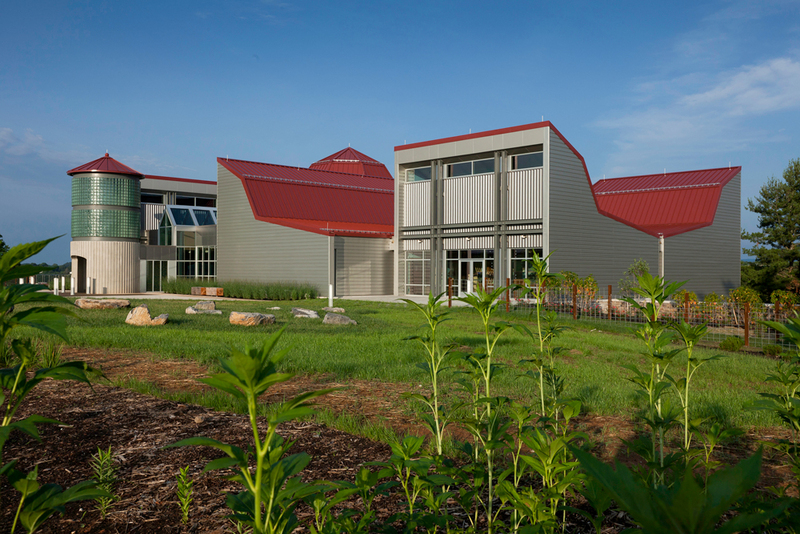 Certified LEED® for New Construction version 2.2 (10162108). 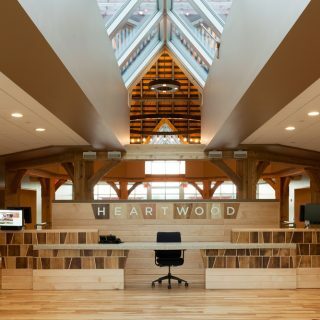 As the gateway to Virginia’s artisan corridor, Heartwood welcomes visitors through an impressive entry silo and into a one-and-a-half-story grand lobby—all which exposes the intricate steel building framework. 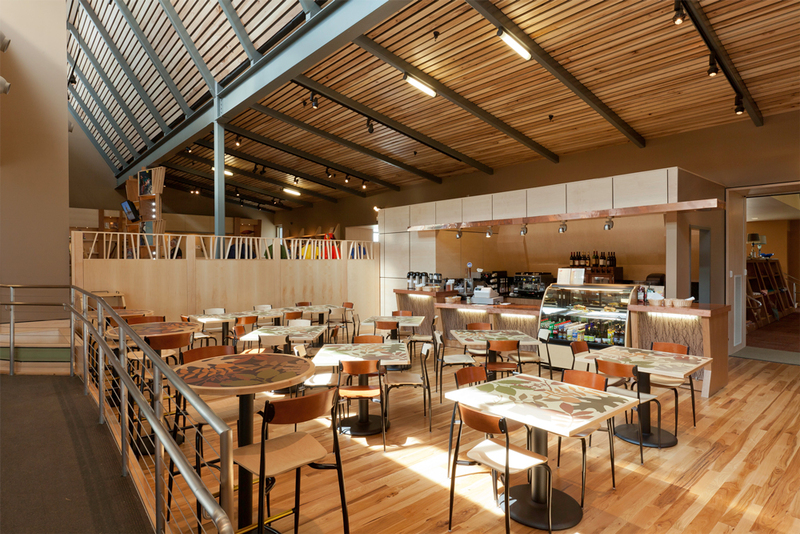 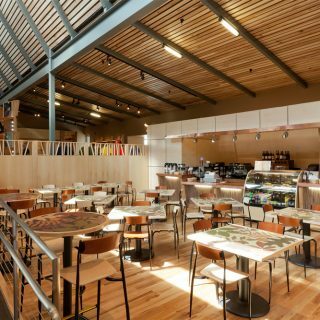 The layout includes 6,000 SF of gallery space, a flexible dining and performance area, coffee and wine café, gift shop, outdoor dining plaza, office spaces, commercial kitchen, and storage areas. 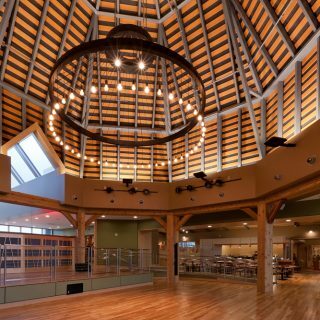 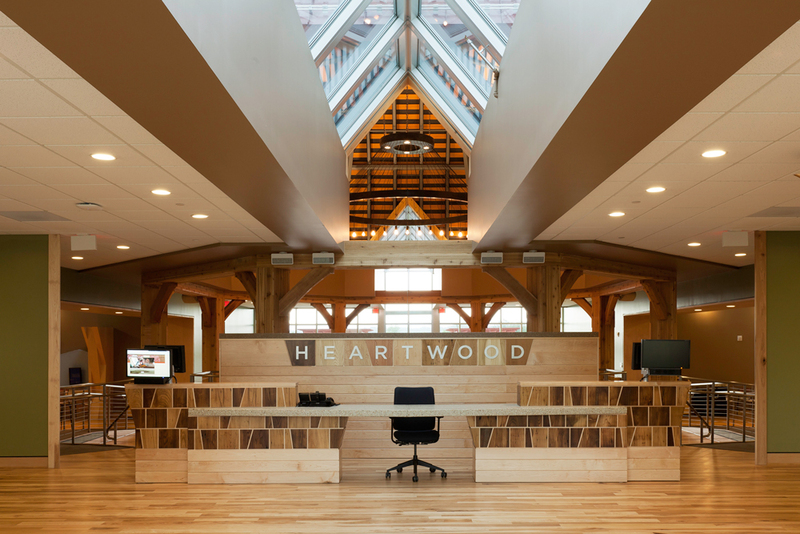 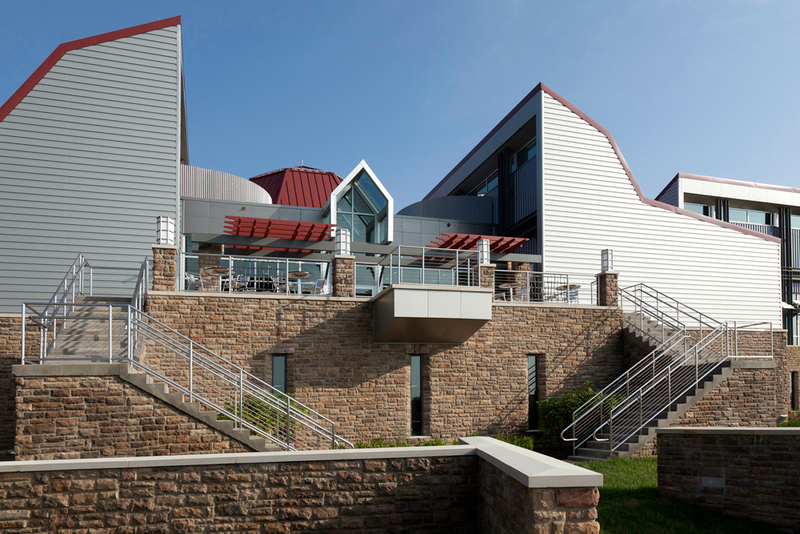 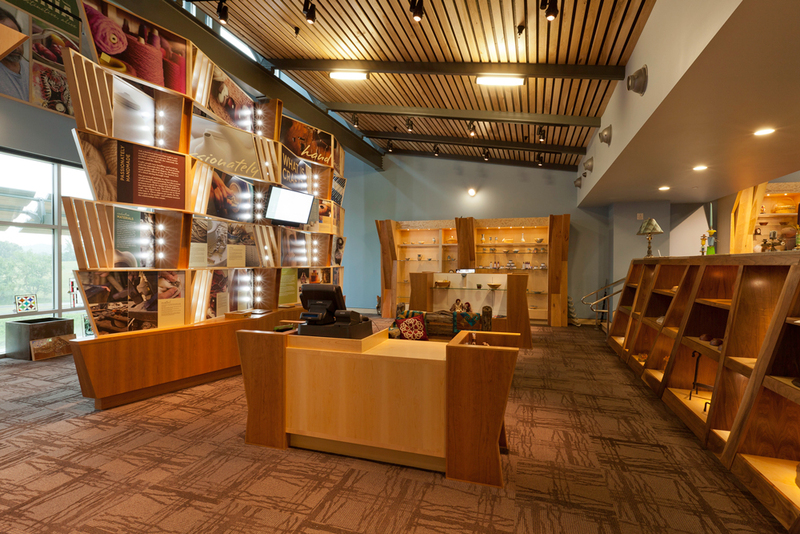 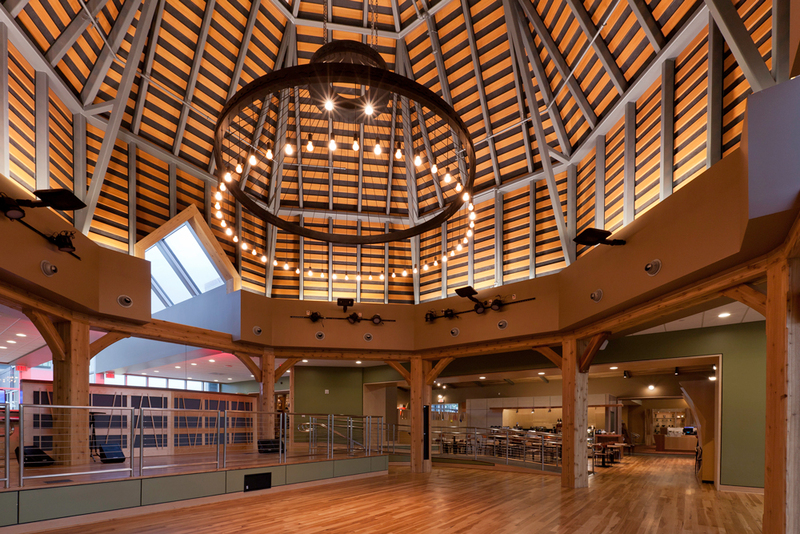 As a LEED Certified project, Heartwood incorporates many green elements. 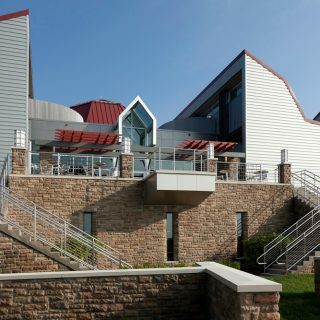 To reduce energy costs, geothermal well fields heat and cool the building, while a Building Automation System reduces both energy and maintenance costs through the use of automated climate controls and occupancy schedules. 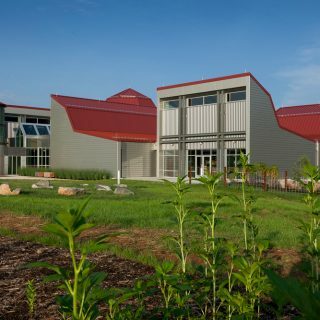 An underground storm water retention system controls water return rates to reduce the risk of peak water flows during weather events. 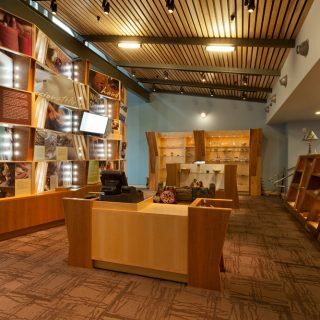 Other features include low-flow and waterless plumbing fixtures to minimize water usage by an estimated 20-30%, low-VOC finishes to improve indoor air quality, recycled content finishes to limit waste, and locally harvested and manufactured materials which shortens the distance for transporting construction materials while contributing to the local economy.